It is only necessary to purchase the ticket to gain access to the belvedere and the exhibitions. Discount: 3,50€ per person – It applies to Lisboa Card, Carris (Yellow Bus), Cityrama, Casa da Achada, Passaporte do Mar, Automóvel Clube de Portugal. Also applicable to groups with more than 10 people. 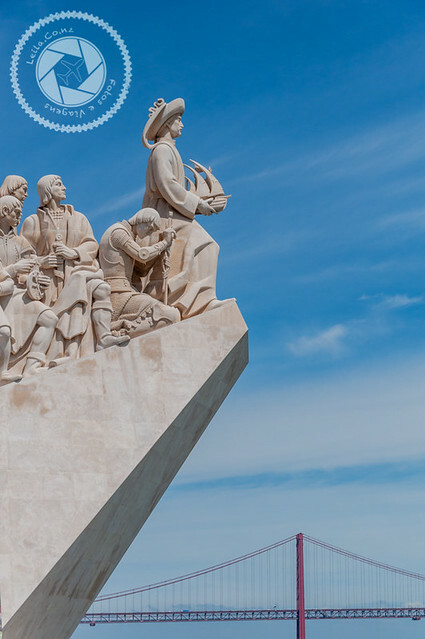 Also called as Monumento ao Descobrimento, it is the newest postcard among the historical monuments of Lisbon. 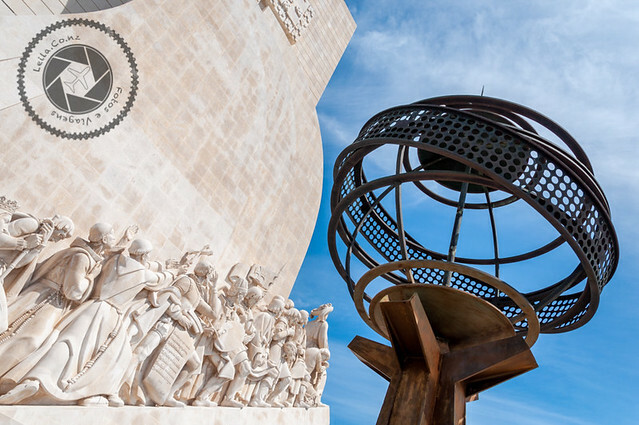 It was built as a tribute to the discoveries of new lands made by the Portuguese and represents all the progress that Portugal obtained from navigation. 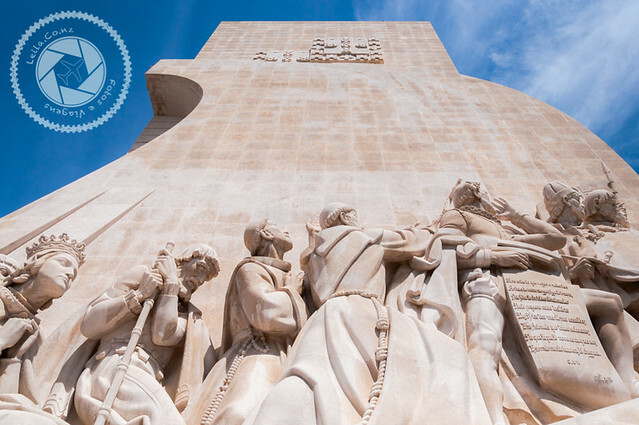 Located in the region of Belem, it is possible to join the tour around the Tower with other also iconic places of Lisbon. 1940: Built in celebration of the 800th anniversary of the founding of Portugal and 300 years of restoration of independence. It was built in perishable materials, with a structure of iron and cement. The statues were made in a mixture of plaster and tow, consolidated by frame or railing of wood or iron. 1960: The 2nd construction was concluded and that is what we have until the present day. This reconstruction of the monument was made in concrete and stone stonework rosary of Leiria, and the statues in limestone stonework of Sintra. The reconstruction was done in commemoration of the 500 years of D. Infante’s death. On the sidewalk in front of the access to the monument there is a representation of a Rose-of-the-Winds drawn from limestone, black and red. The dates, naus and caravels marked on the map represent the main routes of Portuguese expansion between the 15th and 16th centuries. It was offered to Portugal by South Africa, a country that joined the celebrations in honor of D. Infante. From the vantage point on the monument, it is possible to have a unique view of the Rose-Full Winds. The monument was built in the shape of a ship about to be departing that is symbolically led by the Infante D. Henrique representing all its grandeur in the era of navigations. 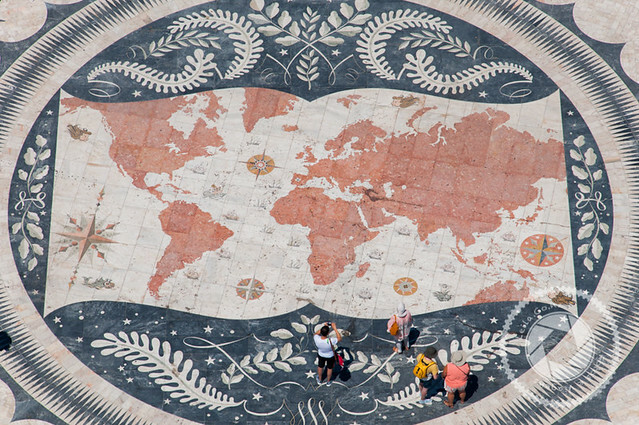 In addition to the Infante D. Henrique, there are 32 more representations of influential people of the time, such as navigators, cartographers, settlers, chroniclers, warriors, evangelizers and artists. It has a mast with 3 candles with the illusion of being inflated of wind in the orientation North-South, and in the top of each side of the monument 2 Portuguese shields. When you are in front of the entrance of the monument, when looking up you will be able to see the representation of the sword of the Royal House of Avis. In the inner part of the monument, which is only accessed with the purchase of the ticket. Upon entering the monument, you will have access to the elevator that will lead to the access to the belvedere. From the viewpoint, the entire riverside region of Oeiras up to Alcântara will be within reach. 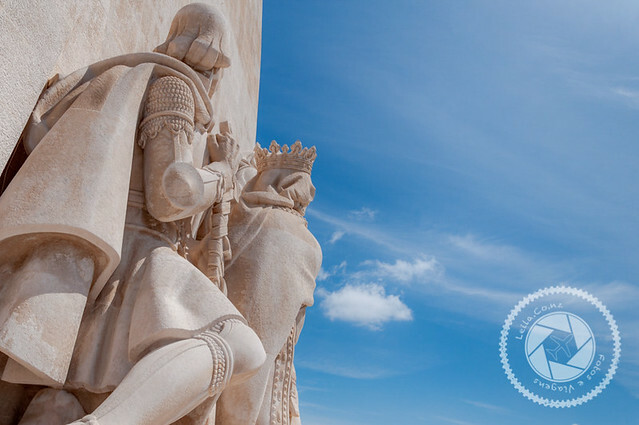 You can also see other sights such as: Belem Tower, Jeronimos Monastery, Belem Palace, Church of Memory, Ajuda National Palace, Tejo Central and Belém Cultural Center. Going back to the interior, in the -1 there is a space destined to exhibitions, cultural and artistic initiatives. The belvedere is not recommended for people with reduced mobility and children who need a stroller. To get to the belvedere, after the elevator has a floor to climb stairs, and the belvedere itself is very narrow, which will make it difficult to get around locally. Whenever I go through the region, I take a moment to look at the sculptures once more and discover some new detail that I had not yet seen. The visit to the belvedere is nice but not essential. All the sculptures that are really very beautiful and impressive details can be seen from the sidewalk and without the need to make the visit.